Choose Quik’s for consistent high quality. 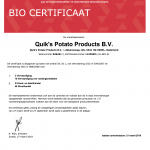 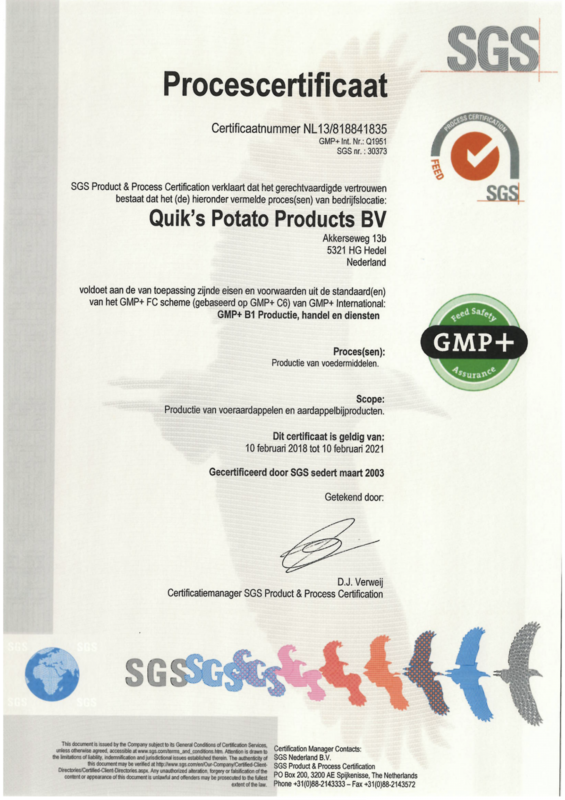 We work with specially selected farmers so that we know exactly how, where and by whom the potatoes were grown. 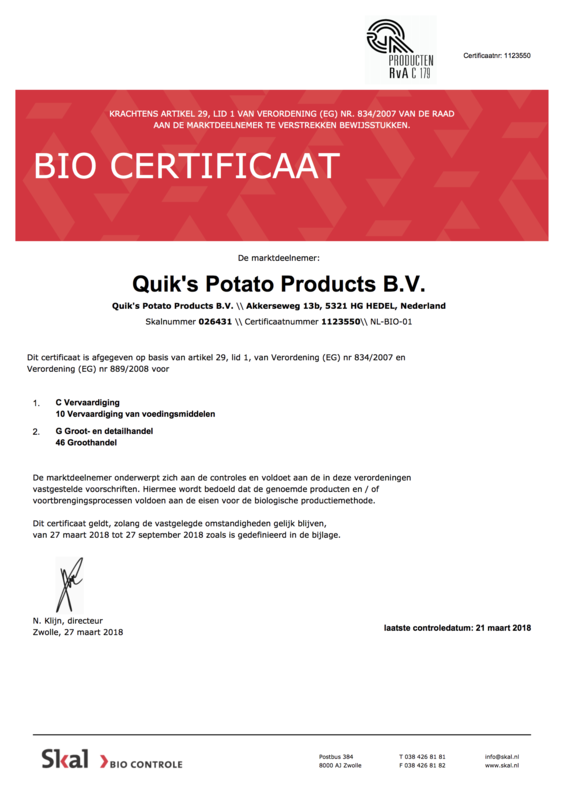 In addition, we use one variety of potato for manufacturing our chilled potato products and specialities all year round, so we can eliminate large differences in flavour and colour. 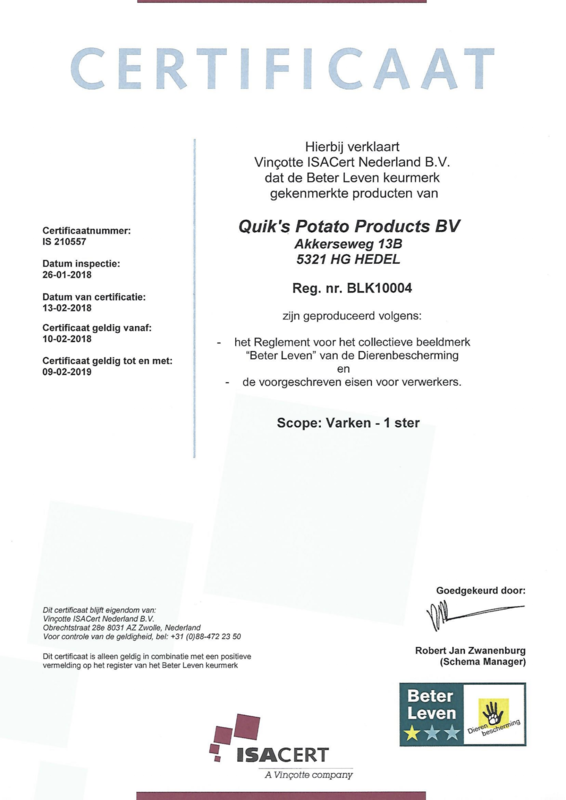 Our own R&D Department is in charge of improving our products and creating new ones. 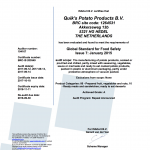 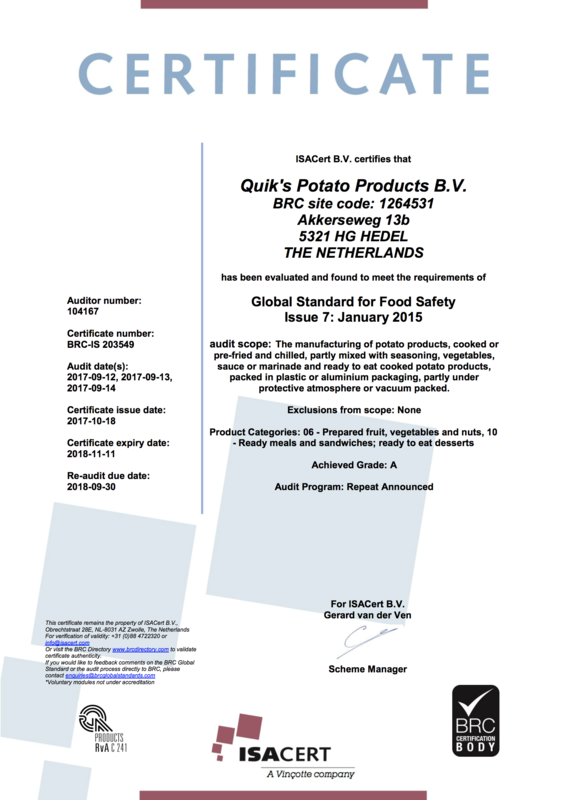 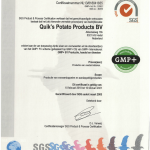 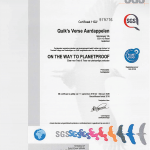 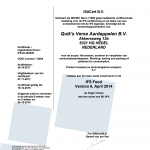 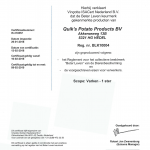 Obviously, we comply with the highest standards (BRC, SKAL, IFS, GlobalGAP, GMP+) so we can promise our clients in retail, food service and the food industry clearly that our products have more to offer: our products have more to offer and they all comply with the highest standards of quality.